Getting ready for the first holiday of the summer? Planning a picnic and honor for those who serve our country in the military, police, fire, and emergency. We have a few projects you can create to bring the holiday together with ease and comfort for guests. You can create a flag using pallets and paint. This will add a great theme to your party. Creating a picnic table will provide a great place for everyone to enjoy the exceptional food and conversation. These projects will last long into the hot summer day from Memorial Day, Fourth of July and the summer ending holiday Labor Day. Pallets provide good quality wood and usually weather resistant for your products. AMC Consolidated developed the company with the principle of recycling and reducing waste. This offers a better use of our products, employees’ time, cost savings, and the environment over all. The amount of waste produced affects the planets soil, fresh and salt water, and the air. It is important that we work together to do what we can when it comes to recycling. Reduce, reuse, and recycle are important factors in keeping the earth cleaner. AMC Consolidated pallets being biodegradable and reusable allows for our pallets to be earth friendly and a sustainable product. We produce high quality pallets meeting local and international regulations. We are the only local pallet yard that heat-treats their pallets for shipment. AMC Consolidated business was built with the concept of reducing, reusing, and recycling. Please feel free to contact us regarding any of our products, sales@amcconsolidated.com or 1-602-233-9800. AMC Consolidated continues to grow and expand from the original product, pallets. We have developed products to bring you the best from pallets to trash collection. 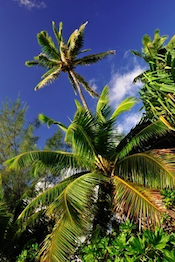 Our product line development takes our customer needs and awareness of the planet. AMC Consolidated provides pallets that meet or exceed industry standards for shipment and storing products. AMC Consolidated wood pallets are made with uses KD-HT green Douglas fir, SPF-spruce pine fir, and some hardwoods. We have on site heat treatment for international shipment. We expanded from this to our mulch, playground covering, and horse arena bedding. Mulch is a protective covering that allows for vibrant finished appearance, and imitates the ground covering found in a forest. Mulch is one of the most beneficial materials you can do to your soil and plants. AMC Consolidated provides mulch playground covering. Our playground mulch is in local school districts and housing developments. This high quality product provides much need safety and aesthetics for any play area. Horse and arena owners have many choices when it comes to bedding product for their horses’ stalls. Wood chip bedding can provide many positive results for horses. High absorbancy this allows for less bacterial growth and keeps ammonia lower. Processed wood provides clean and dust-free chips without toxics or causing respiratory issues. AMC Consolidated provides exceptional tree trimming services. Native trees will bring the best benefits to your home and community. There are many Sonoran desert native you can plant in your yard to bring beauty. We will be happy to assist with your landscaping and tree trimming needs. We produce tree boxes for your nursery needs. These tree boxes allow for your nursery trees to develop, grow, and transport to their forever home. Contact sales sales@amcconsolidated.com for details in your nursery tree boxes. AMC Consolidated is your location to firewood for your backyard gathering, an evening watching the moon and stars, or camping. Stop in for details regarding our firewood product. Completing our product line is trash removal. Roll-off trash containers provide a way for large project managers to get all their trash collected and to the dumping facility safely. 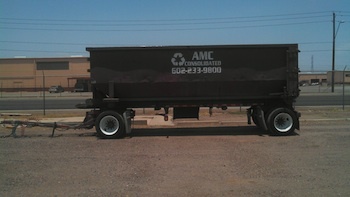 AMC Consolidated added this service to provide recycling and trash options to our clients. A Roll-off trash container has four sides, but is open on the top. There is a door in the back that opens and closes. The truck gets its name from the fact that AMC Consolidated delivers the dumpster to your site and roll it off the semi in your yard, driveway, or project site. Our complete our product line provides many options for your wood products needs while servicing our customers with the best. Contact us today 602-233-9800 in regards to any of our products. AMC Consolidated currently uses green Douglas fir, SPF-spruce pine fir, and some hardwoods to create its playground mulch. Placing mulch on your playground you want to ensure that you pay attention to shock absorption (ASTM F1229-09). This standard guideline is based on the material and maximum height that will not cause head injury. These areas need to make sure that mulch is placed in these areas according to the ASTM F1229-09 i.e. 12″ depth. (please check guidelines for specific measurement. Protecting your children and their play areas are a priority that should be taken serious and with the best quality products. When choosing the best material for your playground keep in mind that rubber ground covering materials can cause a reaction to those allergic to latex and an allergic reaction can develop due to exposure. Roll-off trash containers provide a way for large project managers to get all their trash collected and to the dumping facility safely. AMC Consolidated added this service to provide recycling and trash options to our clients. You have the dumpster to fill level with the top of the container and depose of waste. When you have completed your project we collect the dumpster and we dispose of the waste according to regulations. Reducing waste in your home and life will increase your savings. Purchasing products that are more environmentally created, bulk, or proper size allow for less storing space, reduced budgets and time manage of products. This will allow more enjoyment time in your life. Purchase product sizes according to needs. Consider the amount of packaging a product contains i.e. an outside box and inner plastic wrapper. Buy products in bulk and use reusable containers for items. This will reduce waste while saving money. Make your own salad dressings, sauces, and cleaning products with products you already purchases saves on packaging, reduces salt and food budget. Composting raw kitchen products or yard waste this can reduce waste by about 30%. Purchase products you can reuse for something else i.e. glass jars for storing. Reducing waste in your home can create more than a reduction of waste, but a reduction in chemicals, time management, and unnecessary products. Spring cleaning projects is a great time to begin this change. Many times some projects are recyclable materials and AMC Consolidated ensures that they are disposed of in the proper locations with the least impact on the environment. Spring is a great time to get your projects and cleaning done before the Phoenix heat hits. Our roll-off trash containers come to your location and we pick up when your project is completed. We offer up front pricing with competitive rates. AMC Consolidated does not add hidden charges such as line items, fuel adjustments, disposal fees, and ADEQ tax to name a few hidden charges. Many waste disposal companies add these charges to the invoice. AMC Consolidated is licensed and fully insured to conduct business in Arizona. We are licensed in Scottsdale for hauling, some of the tightest restrictions for trash hauling in Maricopa County. 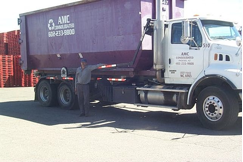 AMC Consolidated offers 20, 30, and 40 cubic yard roll-off containers for removal of solid non-hazardous waste and recycled materials in the Phoenix metro area. Please feel free to contact sales regarding your trash removal projects or questions. We will be happy to assist with your clean up projects. AMC Consolidated first product was pallets. These slabs that carry products are produced in the industrial area of Phoenix Arizona, but our product can be shipped internationally. We produce pallets that meet our customers’ high standards and shipment regulations. Pallets have played a vital role in shipment of products since the early 1920s. This development changed the way products were shipped from production to consumer. Wood pallets provide a smooth surface, even weight distribution, and vertical stacking reducing transportation costs and storage. The greatest advantage was the time to load and unload product in regards to shipping. Creating pallets has specific regulations, needs, and purposes. Soft Wood: this is the cheapest product, but it is usually good for one use and only lift able by the forklift on two sides. Hardwood: This is a more durable and can carry various weights that can be noted by color-coding the pallets. Types of wood used to create pallets vary in regions in the United States. Northern regions contain the least amount of wood and are mostly hardwood lumber. Southern and Western regions pallets are made mainly from softwoods. Western pallets use the most wood in production. AMC Consolidated currently uses KD-HT green Douglas fir, SPF-spruce pine fir, and some hardwoods. This provides a strong pallet that can meet your shipping needs and regulations. Pallets need to be maintained and follow regulations set by: The following organization requires heat-treating and kilning dry pallets, European Union (EU), American Lumber Standard Committee (ALSC), and National Hardwood Lumber Association (NHLA). When purchasing or receiving your pallets internationally look for the stamp that ensures your pallets meet the ISMP 15 requirements for treating pests and any certifications from organizations like, ALSC to ensure you are meeting all standards. To keep costs low and ensure pallets are meeting standards ask the pallet company if they are treating their pallets on site. Here a few items you need to consider when placing a pallet order. What is the minimum quantity per order for this size pallet? How often is this quantity ordered? Approximate Maximum Total Weight to be placed on pallet. If you have a special service request: export or pallet disposal needs. AMC has the capabilities to heat treat and kiln dry pallets, processes necessary to prepare pallets for international use. Kiln drying and heat-treating are the most environmentally safe methods used in the treatment of wood pallets. Maximum Spacing Between Top Deckboards. Describe Products to be placed on Pallets. AMC Consolidated creates, heat treats, repairs, and buys used pallets. We are knowledge and experienced. Please contact us or call 602-233-9800 for further assistance.